In this choreography the body is on the one hand just a tool to change ”cards”; on the other hand, it is exposed to these “cards” as scripts of processes. 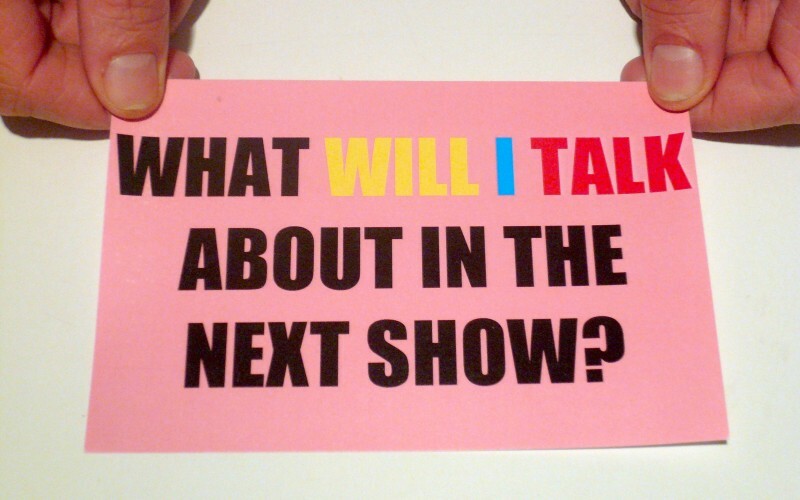 On these little cards, which are captured by a video camera and directly projected on a screen, a text is written. This text treats the production of the presented choreography solo in terms of time. Different colours visually mark all time attributes and movements. In telling his silent story of choreography as a performative time score, Juan Domínguez renders visible the fragile dramaturgy of both life and performance. As they are immanently linked to each other, life on the one hand becomes visible as a performance of time, whereas the performance of the time-performance on the other hand inverts the chronology of the show. This leads to a paradoxical play, where the two different performativities of the text-score and of the representation-score cross each other, inter-fere and compete.